Dynamic indie rock duo The Dodos discuss their electrifying evolution on 7th album ‘Certainty Waves’, a provocative record of movement and potential worthy of our undivided attention. For a band named after an extinct flightless bird, The Dodos seem particularly adept at adapting and changing: Unlike their namesake, they have outlasted many of their peers over the course of seven albums and thirteen years. They’re a band full of surprise, and 2018 has proved especially important in defining (or perhaps, defying) their identity in the future. Released in October, The Dodos’ seventh album Certainty Waves (Polyvinyl) is a record of movement and transformation, energy and unlimited potential. Following 2015’s Individ, the rhythm-savvy indie rock duo of multi-instrumentalists Meric Long (vocals, guitar) and Logan Kroeber (drums) took a few steps back to breathe and reflect. While Kroeber went back to work, Long experienced the death of his father and the birth of his first child, and eventually debuted a synth-based solo project FAN. The duo also celebrated the ten-year anniversary of their breakout sophomore album Visitor. Needless to say, the journey from 2015 to 2018 was long — it was that way for everyone — but it proved critical for The Dodos as they opted for reinvention over constancy. Certainty Waves is named after the idea that something which seemed so certain will likely prove not to be in the future. Temporality. Malleability. Donald Trump being president. Thus, The Dodos have returned embracing freneticism and opening the doors of possibility. Their seventh album is full of wonder and harmony: Electrifying riffs, immersive synths, and provocative stories challenge our preconceived notions of who they are sonically and lyrically. Standouts like “SW3” and opener “Forum” enchant our ears and delight the mind with palpable explosions of sound. Fresh and freeing, Certainty Waves heralds a new era for the San Francisco band, its frenzied rush of passion and excitement beckoning us into new unknowns. No one, not even The Dodos, can say with certainty where they’ll go, or what they’ll do next — and we’ll happily come along for the ride. Dive deeper into Long and Kroeber’s brave new world in our exclusive interview, and whether you’re a longtime Dodos fan or a first-timer, do give Certainty Waves your open ears and undivided attention: It’s worth the listen. It’s like an animal that’s in-between evolution periods, that hasn’t quite perfected itself. Atwood Magazine: Hi guys! First of all, congratulations on releasing this new record. Now, I haven't released six albums before, but what's the feeling with the seventh one? Was there that elation - does it always come to you, or is it always different? Logan Kroeber: For me personally. I kind of forgot! Meric and I have been practicing so hard to get the live shows together for the past few months, that I really kind of forgot about the record as an entity; it was more like the songs were were practicing all the time. I hadn’t seen the physical vinyl copies of the record until Friday (of release), because we played a show in San Francisco on the release day. So it all came back… and it was really awesome, because we did put a bunch of work getting the artwork together, not to mention recording the music. Yeah, I forgot about it, so it’s cool to have it back in my periphery! Is that one of those things where it's such a part of you that you forget about its existence? Kroeber: We’ve changed our setup considerably for this album and tour. The songs that people are going to hear on the record, that I was excited about when we were in the studio, it got changed into a thing that was like, “How do I incorporate this technology into the setup and not blow it?” It was a different thing, and it’s super rad thinking that people are listening to these songs as they were constructed. It’s only just last night in San Diego that I think Meric and I were getting loose onstage, and feeling like we can deliver the songs in a way that felt comfortable. It’s cool, to me, that people are listening to the record now, and they’re hearing them in the way that we constructed them in the first place. What do you mean by construction? Kroeber: Meric has his solo project, FAN, and he incorporated a sampler into that world, and brought it over into The Dodos’ world. I got a sampling drum pad, and we already have looping pedals, and they’re all communicating through MIDI signals – and that’s allowing us to play samples during the live show; they’re all synced up between those three pieces of gear. That’s something new for us, but that’s not necessarily how we created the album! It’s closer, in spirit, to the way that we play together. In the past, it was all more complete live takes in the studio; the composition process this time was a little more chocked up, so incorporating that technology is in line with how the music was made. 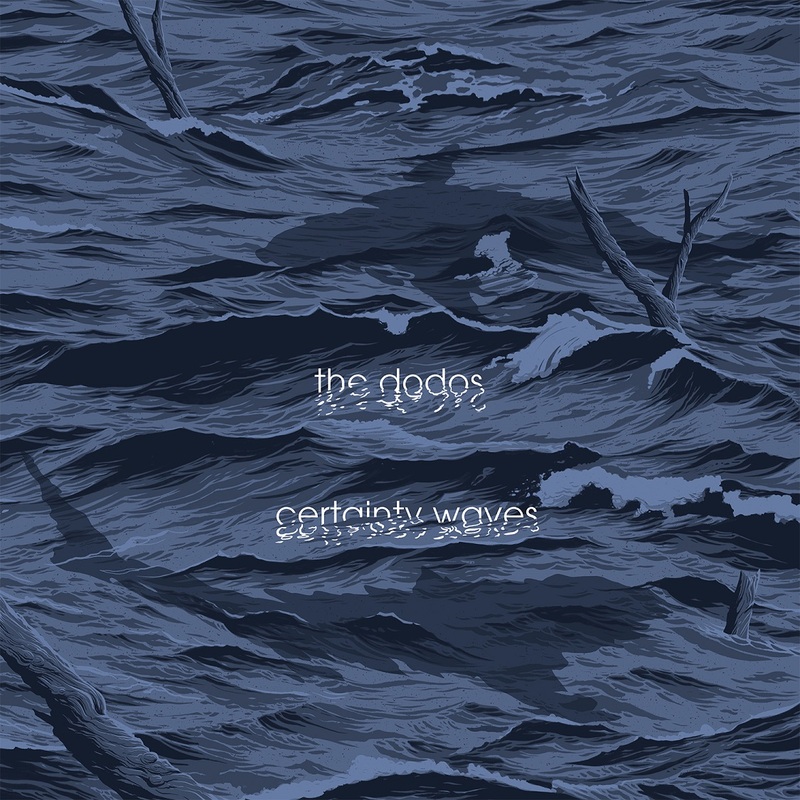 Certainty Waves feels like a brand new edition of The Dodos; I don't quite know how to say it to myself yet. It's the next generation of the band and your sound. What transpired over the past three years? What was your mentality when making this album, and what, if anything was your vision? Kroeber: We had a big break! Meric started a family and did the solo project, which I think highly influenced Certainty Waves in all the stuff he learned through making the FAN album. For me, I learned a lot during the process because Meric had already sort of surged ahead in making the FAN album and brought a bunch of that sensibility to how we were putting together the music for this album. I felt like I was catching up to the process he had already started with FAN, and so I was kind of adapting all the way through the process! There were so many mutations from when a riff or a beat might have been generated…. the accompanying beat would be stripped away, Meric would put on a different riff and totally change the melody, maybe take a piece of another beat from another song and put it as the bridge… These sorts of changes didn’t happen with quite the same frequency or fluidity in the past. It’s a real snapshot of something evolving over a short period of time. It’s like an animal that’s in-between evolution periods, that hasn’t quite perfected itself. (laughs) “The island of not tomorrow,” Meric just said! It’s getting somewhere, but it hasn’t quite reached its final stage – but it’s definitely in a heavy stage of mutation. It’s a real snapshot of something evolving over a short period of time. I have to give you my respect as a drummer, to really become one with all the beats, switches, and change-ups on this album. It's intense, and I can only imagine your experience. Kroeber: Thank you! That part was super fun; we spent a lot of time generating beats and riffs that went together and weren’t necessarily songs. I feel like we reached some new levels of interaction that were really fun and really deep, just from two instruments grooving together. Some of that was really cool – we went to the studio without finished songs, and just created music between guitar and drums. Some of it was stuff that we’d vamped off before, and some of it was just made up in the studio, and we kind of finished the songs to those ideas later. It was really cool, just jamming on stuff in the studio, not knowing what it was, and then crafting songs around it afterwards. I've always wondered - The Dodos, you've always been ones for finding new ways to bring two instruments. You've made very unique and inspiring music for a long time. Especially with this record, with all the rhythmic components of it and a sometimes caustic feel... I'm wondering, what of your inspirations have come from African polyrhythms and syncopations, and what of it comes from doing something weird, stopping and saying what was that? Kroeber: It’s funny you should mention that: Last night in San Diego, a fan was asking about African drumming influence, which was a big part of our story when we first came out. Meric definitely has absorbed some of that through stuff he learned in college, and he taught me very minimal pieces of that back in the day that flipped a few switches in my brain and in my playing. Since then, we’ve certainly drawn inspirations from music around the world. For me, stuff like group bambino or Tinariwen, that’s an example of another style of music from Africa that I haven’t consciously tried to incorporate, but I listen to a bunch. They have different syncopations and feels than I’d ever heard before, and that’s totally an influence on me – but it’s not direct on this album or anything. Certainly, as to your question, I find inspiration from music all over the world. For one of the songs on Certainty Waves, called “Ono Fashion,” that came out of me literally going on YouTube a couple hours before practice when we were just making stuff up, and I typed in “Chinese polyrhythms” just to see what was out there. It led me down some rabbit hole to some Filipino band, and I was just vibing on this stuff before I went to practice, and I had a 45-minute transit ride to the practice space and let it marinate in my head. Whatever mutated version of it came out during practice, and it ended up eventually becoming that song. I’m still getting inspired by stuff from all kinds of random places. It sounds like Certainty Waves was a very organic album. Kroeber: I guess you could say that! I wouldn’t have… It’s true, but I’ve come to think of it as synthetic because of all the technology that has been added to our setup. I guess, from generating the core musical elements of the album, I guess it is more organic! It was really cool, just jamming on stuff in the studio, not knowing what it was, and then crafting songs around it afterwards. It's kind of funny how you can be both of those things, when it feels like they should be mutually exclusive! Kroeber: Yeah, right?! Like, I wanna choose one side or the other. They’re both totally functioning; it’s a true cyborg thing that we’ve got going on. It's definitely a new feel for The Dodos. I want to reference your PR for a second, because one of you guys described this as the band's “midlife crisis record,” which I get! Can you expand on that idea? Kroeber: Meric, I think, is the one who can take credit for calling it the “midlife crisis record,” and as much as I have a reaction and don’t want it to be that, it’s true! I can’t fight it; this is the time in our life where that’s happening. We’re trying to figure out ways to reinvent the music we make and the way that we make it, so it is that! Maybe I need to recalibrate my sense of negative baggage to that term, because that’s what a midlife crisis is, right? People are reevaluating their lives and trying to make it better, and that’s not necessarily a bad thing. I think that some people get it a little twisted and they get a Corvette convertible… I think Meric and I are trying to improve the art that we make, so that’s probably a wiser choice than the convertible. It's definitely telling, with “Forum” starting this record: It's a shock to the senses and a big wake-up introduction. Kroeber: That is the first song we tried playing with the new setup, and it was really awesome… I love that song, and it was an immediate thing after Meric got his vocals together and showed me the first version… it was really connecting! And it was really cool to get the new setup going in the practice space, and the first time we tried to play it, it all clicked! So with “Forum” leading off the record, it’s nice to have something that represents the new sound and the new mutation of The Dodos. It’s kind of effortless, you know? The song cruises by, and playing it live, it has an effortless quality as well. It’s nice to have something that represents the album that feels weightless. Would you call “Forum” the focal point or thesis of the record? Kroeber: It’s a good standard-bearer, but I don’t know if it’s the most representative. I feel like some of the songs that are a little more going in different directions – the unfinished evolution quality, that might be the more representative tribe of the album. “Forum” is almost a little too put together; it’s a little too confident, it makes too much sense. Other stuff on the album that’s still figuring itself out might be more representative – something like “IF” or “Excess”… I don’t know. That’s not necessarily my favorite song, but I think some of the confusion in changing parts and tones might let somebody know where we are at still. We’re still figuring it out. I feel like “Forum” and “SW3” are two of the more put-together songs. They really take chaos and make it feel comfortable! Kroeber: I’m a big fan of “SW3”! It started very differently – like, dramatically differently. I had a version of it for a while that I was trying to push forward, that started out pretty cute, actually. It was a little twee, and then it went to this really uplifting major key chorus. Meric was able to take it, flip it, and turn it into this more intense minor key anthem-y thing, and the journey that song has been on, to reach the heights that it does in its final form, really stokes me out. Maybe that’s the standard-bearer. It's probably one of the most passionate moments on the record. Kroeber: Straight up, that’s how I felt! That word exactly. I know it's there in the lyrics too, but it feels like this very high-strung moment where everyone steps back to reflect on where you've been, and how you got to where you are. Kroeber: Yeah, it resonated with me too. It definitively begins the new chapter. Kroeber: I was really happy to get to pair “SW3” with the music video we did, which actually stars my coworker’s daughter (Queena Tran) in this kind of kung-fu Odyssey. It was cool for me to be able to incorporate stuff from my work life into my band life and create this thing that I think turned out really great, and showcased the talents of her and all her friends. From “Forum” to one of my personal favorites “Center of,” which is so delicate and unlike anything else on the record, to “Dial Tone” at the end, Certainty Waves feels like it’s everywhere all at once. Part of me wonders if that’s the point? Kroeber: I wouldn’t say it’s the point… but I feel like I’m the wrong person to ask. I feel like the creature that’s still evolving; like, I don’t know what my point is. I’m being shaped by my environment at this very moment. The shows that we’re playing now are solidifying and helping me understand the decisions that have been made leading up to this. This is the first time some of these songs have been played; we made bits and pieces of music, but they were constructed on the computer. On this tour, they’re becoming real things and we’re understanding them for the first time. 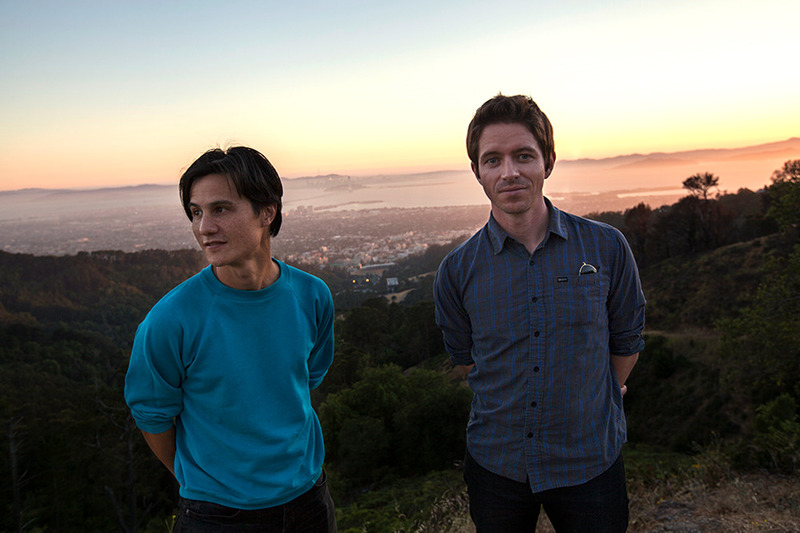 The Dodos are admittedly still figuring out their seventh album, and – should we need definitive answers, which we don’t – maybe that’s the whole point of the record; like a wave itself, they’re moving and changing, adapting and evolving. They are approaching their music with a mixture of starry-eyed excitement and worldly wisdom, keeping things fresh and new while pushing the boundary of the possible. There’s something truly special about the uncertainty of Certainty Waves; it’s going to challenge us and grow on us – our opinions of it will change over time. This is the kind of record we will likely never fully understand, but we can without a doubt appreciate it in its day, and will continue to do so for years to come.